Golden Privet, (Ligustrum Ovalifolium Aureum), is very easy to grow and it's bright yellow leaves mottled with green brighten any garden in the winter when there is little else to see - this is for 25 Grade A field grown plants which are currently 3ft tall. The plants we are supplying are strong well branched field grown plants which will quickly establish and merge together to form a hedge up to 3m tall but easily kept smaller. The plants we are offering are field grown plants and are the ideal size for planting out and will get established quickly. You plant as a single or staggered row at the rate of 5 per metre so 25 will give you a 5m hedge! Trim once a year in August. Golden Privet, (Ligustrum Ovalifolium Aureum), is very easy to grow and it's bright yellow leaves mottled with green brighten any garden in the winter when there is little else to see - this is for 25 Grade A field grown plants which are currently 3ft tall. Will grow in most soil types and are fine in full or partial sun. 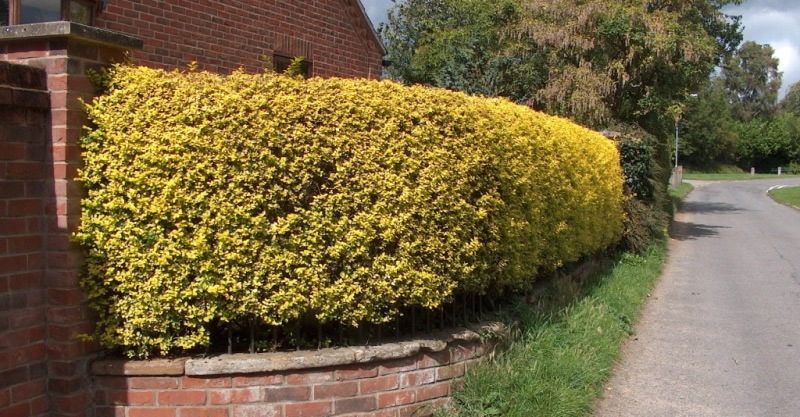 The plants we are supplying are strong well branched field grown plants which will quickly establish and merge together to form a hedge up to 3m tall but easily kept smaller. These are the perfect size to transplant into your garden - we will send you a copy of our free guide to hedges and planting. 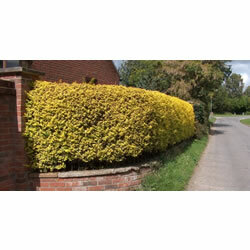 Golden Privet is a long time favourite for a quick growing evergreen hedge. They do not require good soil and will quickly make a dense hedge which will grow up to about 3 metres if required. Can be planted in full sun or partial shade.